Sleepy Hollow fans about the death of one of the main characters on the series at the end of season three on FOX. The series is returning for a fourth season to the network, but it will be without Nicole Beharie. Sleepy Hollow will return to FOX this fall. Were you upset about the death of Abbie Mills on the series? Tell us what you think. 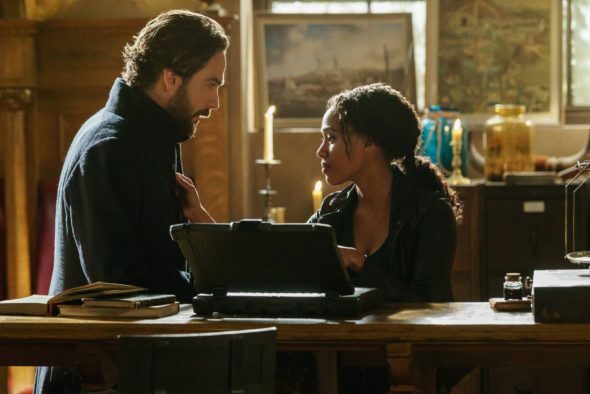 More about: Sleepy Hollow, Sleepy Hollow: canceled or renewed? Why. Nicole was one of the reasons I watched along with the chemistry between she and Tom. Now there is no reason to watch cuz it was getting too bizarre anyway. I’m done. When will Season 3 be available on DVD? I was surprised but can live with it. Now tell me when to expect Season Four to begin airing. I love the whole story line. I’ve watched Sleepy Hollow since day 1. I thought season 1 was Nicole’s best season. After that cosmetic changes and to me, over-acting, made her character harder to be supportive off. The rest of the cast, in my opinion, can carry the show, since they dumped on Ichabod and Abbie’s relationship anyway, what’s the worry. NO – I wasn’t upset about the death of Abbie Mills on Sleepy Hollow. I love her character and the actress, Nicole; but, this is a new era in television in which lead characters are “killed off” and the show is able to proceed with a continuing compelling storyline and high viewer ratings. If you love her character, you would be up set. You don’t understand why people are. Even Tom Mison is SMART ENOUGH to know why. Well, I am certainly entitled to “free speech” so I don’t have a need to agree or disagree with you. I have so much more in my life than a tv show, and while I appreciate a well-written, well-acted show; that’s not my life. I don’t get upset about ANYONE I don’t know and will never meet. You do you — I’ll do me.